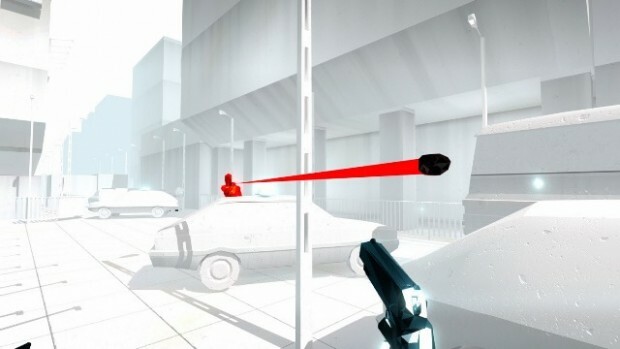 If you’re at all familiar with SUPERHOT then you’ve surely heard it’s the first-person shooter in which “time moves only when you move.” In fact, that’s the very claim made on SUPERHOT Team’s website, and it sounds like a new and creative gimmick for a genre that has since inception been dominated by games that play basically the same: pick up guns and shoot bad guys with them while avoiding being shot. That the formula has persevered as long as it has is a testament to the fact that it’s, well, fun. SUPERHOT doesn’t change any of that. It still features hordes of nondescript bad guys shooting bullets at you that you must avoid — though here there is no health meter, so a single shot will instantly kill you — and you still have to pick up guns and kill everyone in the room to proceed. And yet, SUPERHOT Team has managed to change the way you’ll approach dodging and shooting. You will never “run and gun” in SUPERHOT. You still stop, think strategically about your surroundings, enemies and resources and inject purpose into every inch of movement you make. And just when progress forward begins to seem implausible if not impossible, you will finally solve the killing puzzle in the room you’ve previously failed at so many times; you will find success in the form of a tightly choreographed dance of death that will make you feel like a single-purpose killing machine that is unmatched in ability. What are you trying to tell me? That I can dodge bullets? — It’s not actually true that time does not move at all until you do in SUPERHOT, so you do not have infinite time in which to make decisions before moving yourself. Rather, when you’re standing still, time moves at such a sloth-like pace that it will take multiple minutes for an enemy to raise his arm, pull the trigger and have his bullets travel the distance between the muzzle and your body. You can look around and aim during this time, but the second you move anything but the camera, time resumes its normal cadence. While it’s slowed, though, you see every bullet slowly streaking through the air toward its mark (more on that shortly). No, you can’t quite move with the sort of superhuman dexterity of The Matrix’s Neo, but your manipulation of time does give you the prescience necessary to dodge bullets and feel if not as “The One” himself, at least as close to being so as you ever have. Bullets’ red glare — Even armed with the power to slow time to a crawl, you need to know not just where every bullet is, but also where it’s been and where it’s going. 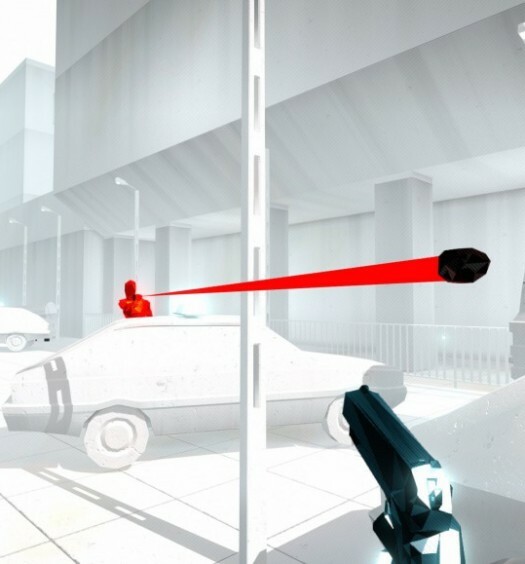 I can’t say that SUPERHOT Team has made this simple; if you’re not laser-focused on this task and constantly aware of all your surroundings, you’re going to get shot. And get shot you will, because you’ll often neglect one guy or one single bullet for one move too many. However, the solution you’re given for overcoming this challenge is itself simple and effective. Red streaks follow black bullets through the air of entirely white environments — enemies are red and objects are black, but the world itself is completely white — betraying the exact trajectory of every projectile. These visual cues will buttress your ability to meticulously plan every movement and are particularly fun to watch and elude when they’re trailing behind scattering shotgun shells. Body of glass — Every single enemy you’ll encounter looks and behaves exactly the same. They’re all featureless red guys who shatter like glass when shot, and they will all charge headlong at you, firing their guns or swinging their melee weapons without a thought in the world for their own safety. If that sounds dull, it isn’t. There is an element of some — but far from total — randomization as to what weapon each enemy spawns with, for one. More importantly, the real fun is in memorizing the general threats you’ll encounter in an area and experimenting with the best ways to overcome them. Even still, a sound strategy may leave you with no room for error, meaning you’ll have to fire, stop moving, turn and attack one of the crystalline red guys in the opposite direction before you’re certain of whether or not your first blast left your mark. You’ll experience an agonizing few seconds of not knowing before hearing the satisfying shattering of your first foe, relieving you of the tension that accompanied the possibility that you missed and left yourself completely vulnerable to instant death. SUPERSHORT — There are 31 levels in SUPERHOT, and the time it takes you to complete them is of course partly dependent on skill (and a bit of luck). However, you should expect to get somewhere between two to three hours out of the game proper. There is a simple but fun minigame to be found, an endless mode to unlock, some extra content to unearth and there is some sort of free DLC in the works, but the game proper is, at best, as long as the longest movie you’ve ever seen at the theater. XBLA Fans endeavours to avoid using hours played versus dollars spent as a primary factor in determining a game’s score. However, it would be a borderline delinquency of my duties as a reviewer to not inform you of how far — or how short, as it were — your $25 are going to go here. It seems a bit paradoxical that SUPERHOT simultaneously plays exactly like every other shooter you’ve ever played and nothing like them at all, and yet, this is the case. Its inspired use of time makes for something that is as much a strategy or puzzle game as it is a shooter. And even though, you’ll only bring a few hours of your life to a standstill to be entertainment by SUPERHOT, those are a few hours well spent. 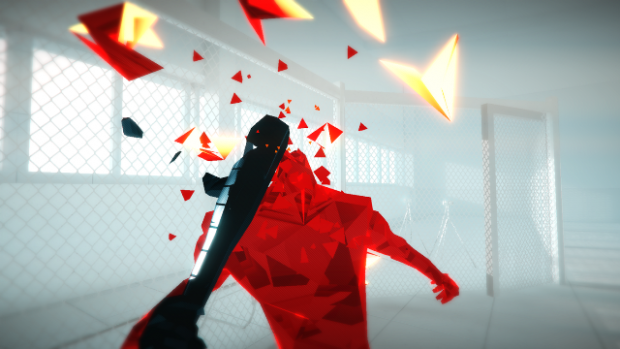 SUPERHOT was developed and published by SUPERHOT Team on Xbox One. It will release on May 3, 2016 for $24.99. 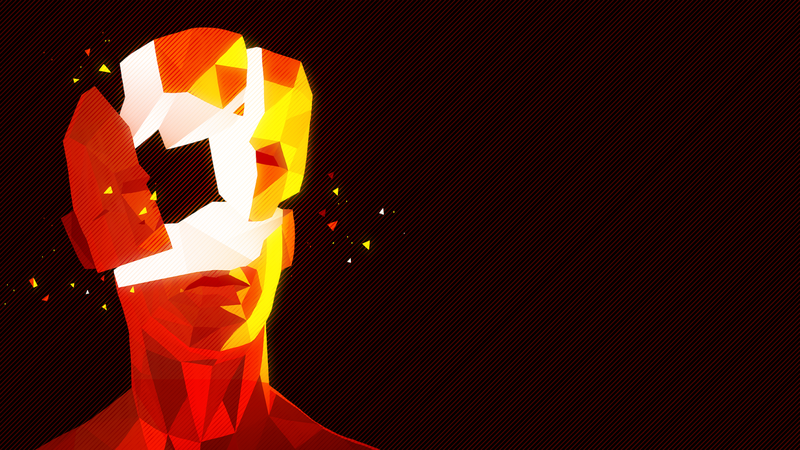 A copy was provided by SUPERHOT Team for review purposes. 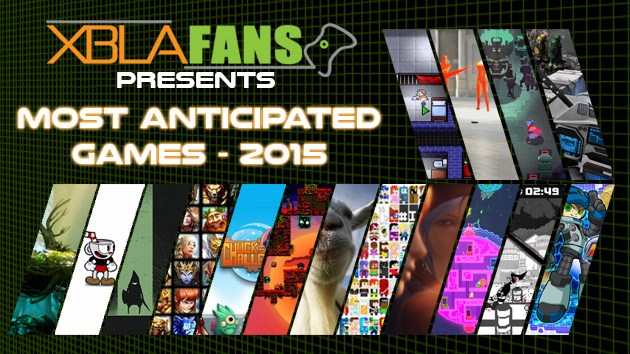 Click here for information on XBLA Fans’ new scoring system. Nick has been a gamer since the 8-bit days and has been reporting on the games industry since 2011. Don't interrupt him while he's questing through an RPG or watching the Eagles, Phillies, 76ers or Flyers. Follow Nick Santangelo on Twitter.